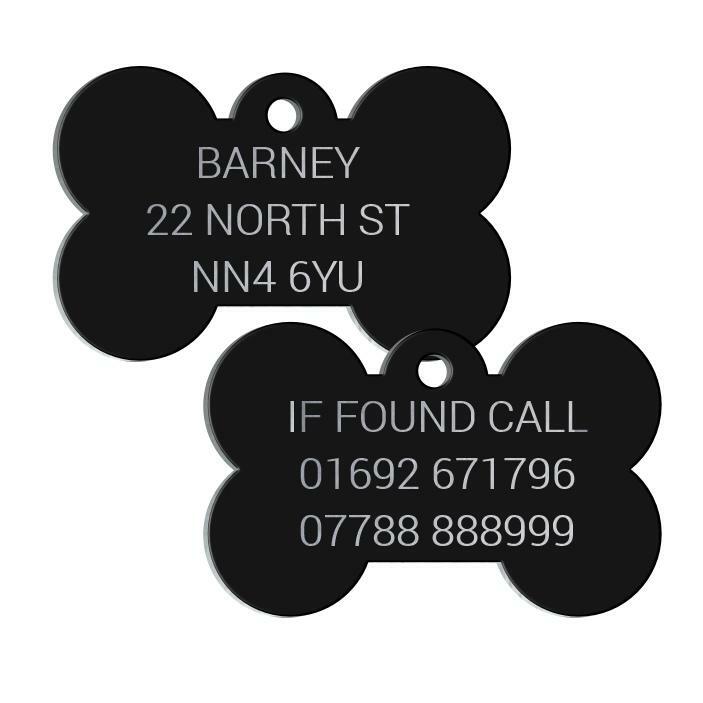 Lightweight Aluminium Pet id Tags Black Bone Shape deep engraved with your contact details on both sides. Please use only 3 lines of text with a max of 13 characters per line to keep your details really clear to read without being to small. These tags are made from lightweight aluminium with 5 microns of colour applied to both sides.